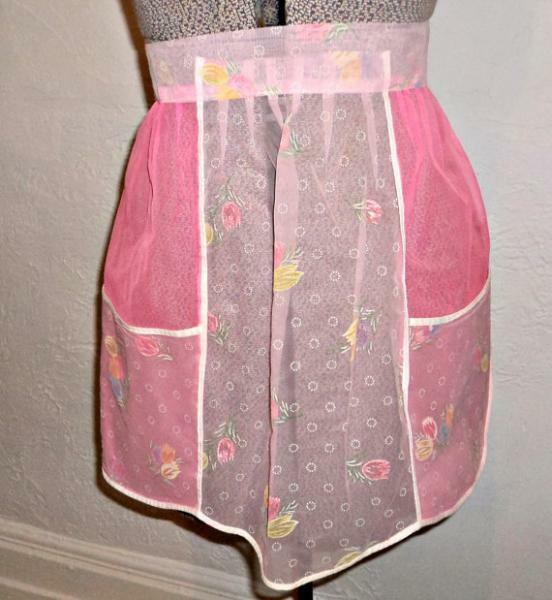 For your consideration is a lovely vintage 1960's sheer pink apron with a floral print. 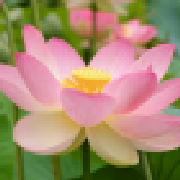 It is in good condition with no holes and no stains. It has two pockets. I'm not sure what the fabric is made of. Skirt width at waist: 17"
Skirt length with waist band: 17"
Fabric: unknown but is sheer.